I totally believe that when it comes to bags, shoes and outerwear, like a trench coat or leather jacket, say, it's worth the investment as long as they are classic pieces that bring an outfit to another level. 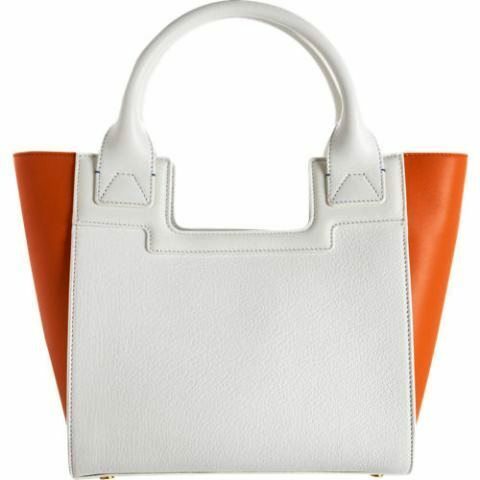 And this particular Smythson Colorblock cooper orange tote is definitely a bag that I think is worth the money (currently on sale!). Its shape and style are totally classic, and the orange adds that pop!